The following list of deep learning frameworks might come in handy during the process of selecting the right one for the particular challenges that you’re facing. Compare the pros and cons of different solutions, check their limitations, and learn about best use cases for each solution! Created by Google and written in C++ and Python, TensorFlow is perceived to be one of the best open source libraries for numerical computation. It just has to be good, especially if giants like DeepMind, Uber, AirBnB, or Dropbox have all decided to leverage this framework. TensorFlow is good for advanced projects, such as creating multilayer neural networks. It’s used in voice/image recognition and text-based apps (like Google Translate). And the default Tensorflow “define and run” mode makes debugging very difficult. There is also one significant limitation: the only fully supported language is Python. PyTorch is the Python successor of Torch library written in Lua and a big competitor for TensorFlow. It was developed by Facebook and is used by Twitter, Salesforce, the University of Oxford, and many others. PyTorch is mainly used to train deep learning models quickly and effectively, so it’s the framework of choice for a large number of researchers. And distributed training has been supported since version 0.4. It lacks interfaces for monitoring and visualization such as Tensorboard – though you can connect externally to Tensorboard. And it’s important to keep in mind: PyTorch is still relatively new, and it’s best for prototyping or small-scale projects. When it comes to larger cross-platform deployments – TensorFlow might be a better option. But PyTorch 1.0 is getting closer! This is a minimalistic Python-based library that can be run on top of TensorFlow, Theano, or CNTK. It was developed by a Google engineer, Francois Chollet, in order to facilitate rapid experimentation. It supports a wide range of neural network layers such as convolutional layers, recurrent layers, or dense layers. One can make good use of it in areas of translation, image recognition, speech recognition, and so on. It supports NVIDIA GPUs, Google TPUs, and Open-CL-enabled GPUs such as AMD. The MXNet framework is known for its great scalability, so it’s used by large companies mainly for speech and handwriting recognition, NLP, and forecasting. It’s not so popular among the research community. So, MXNet is a good framework for big industrial projects, but since it is still pretty new, there’s a chance that you won’t receive support exactly when you need it – keep that in mind. 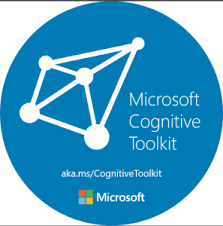 This is now called The Microsoft Cognitive Toolkit – an open-source DL framework created to deal with big datasets and to support Python, C++, C#, and Java. CNTK facilitates really efficient training for voice, handwriting, and image recognition, and supports both CNNs and RNNs. It is used in Skype, Xbox and Cortana. 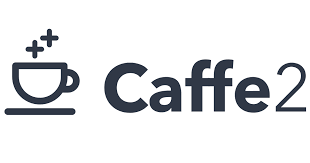 Caffe is a framework implemented in C++ that has a useful Python interface. It supports CNNs and feedforward networks, and is good for training models (without writing any additional lines of code), image processing, and for perfecting existing networks. However… it’s sometimes poorly documented, and difficult to compile. There is no sign of any bigger company deploying Caffe right now. It has server optimized inference. And although Caffe2 is doing really well in space and speed tests, it is still quite new and might be a bit limited when it comes to implementing complex networks that require, for instance, useful debugging tools, or some help from a supportive community. If your core programming language is Java – you should definitely take a closer look at DL4J. 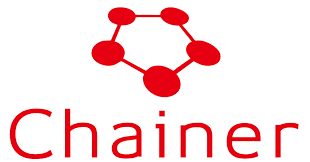 It’s a commercial-grade, open-source framework written mainly for Java and Scala, offering massive support for different types of neural networks (like CNN, RNN, RNTN, or LTSM). It has a community version and an enterprise version. Another Python-based DL framework, supported by giants like IBM, Intel, Nvidia, and AWS. It can be run on multiple GPUs with little effort. Existing networks can be modified at runtime. The community is relatively small. As other Python-oriented frameworks are much more popular, you may not receive as much help with Chainer as you would with more popular frameworks, such as TF or PyTorch. the character and general purposes of the project itself. We hope the above comparison will shed some light on this problem and help you select the appropriate framework for your needs.